Traville Village Center off of Shady Grove Rd. 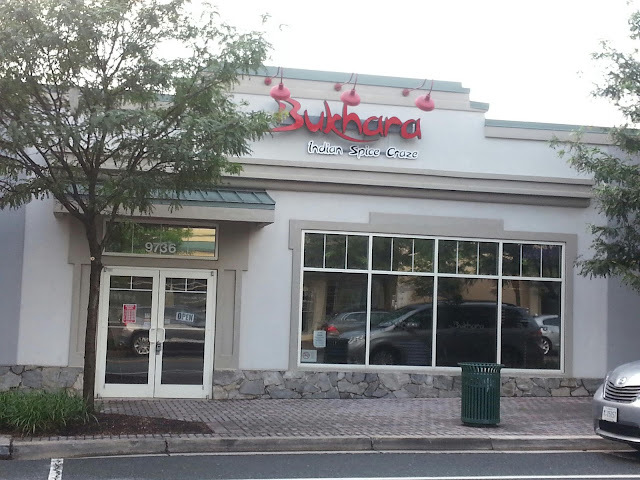 in Rockville has a new Indian restaurant Bukhara . We have had our share of restaurants here and the winners have been Cava Mezze, Bageltowne Deli, Sushi Oiishi and Oriental Cafe. The erstwhile Alladin restaurant is now under new ownership and a new menu as the Bukhara restaurant. 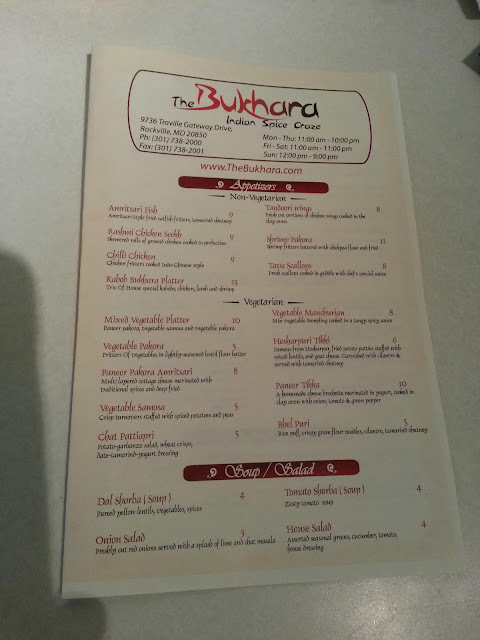 I did not have time to stop by and eat but in the menu the shrimp pakora and chilli chicken sounded very interesting appetizers. Let me know if you visit.